The tenacity and commitment of the members of the Belledune Citizens Committee, Environnement Vie, the Return to Sender Coalition and the Conservation Council of New Brunswick, among others, helped stop the already constructed incinerator, once and for all. Local activist Florian Levesque confirmed on April 8th, 2011 that their victory against Bennett is now “official and complete”. Congratulations to all who worked so hard for so long to protect their communities from avoidable exposures to carcinogens and other pollutants. The Belledune victory is not just an inspiration to all opponents of incineration; it also provides an important lesson in that even when projects progress to the point where some would like to think it’s a “done deal”, communities should not give up and continue to explore all avenues and to continue to engage their communities. Is Campbell River looking at burning garbage? On the west coast, citizens of Campbell River, on Vancouver Island, are gearing up for a possible battle against yet another burner. The Comox Valley Regional District Board is developing their Solid Waste Management Plan (SWMP), which is to include the option of burning municipal solid waste in the Catalyst Pulp Mill in Campbell River. Campbell River is a renowned tourist destination with an important salmon fishery. The private engineering consulting company AECOM, who also consulted for Metro Vancouver on their SWMP which included incineration as a disposal option, released their report. Campbell River resident Katherine Preston noted in a recent article that “however, there is still another report to come on waste to energy, and waste to energy is shortlisted”. With a possible incinerator in nearby Gold River, another renowned tourist and fishing destination, one wonders where the proponents of these burner projects think the waste volumes would come from, not to mention the huge costs to convert the Bowater pulp mill. In 2009, Zero Waste Vancouver reported that the B.C. Ministry of the Environment exempted the Gold River project, a venture of Covanta Energy and Green Island Energy, from having to undergo an Environmental Assessment, which means there could be no detailed assessment of potential health risks to surrounding communities. Covanta’s plans to process up to 750,000 tonnes of waste, including waste from Metro Vancouver, may be a little premature as Metro Vancouver awaits approval of their Solid Waste Plan which also looks at the possibility of an “in region” incinerator. That waste management plan is still before their provincial government for approval, and that process has been delayed by political upheaval. It is unlikely that a new government will see Vancouver’s garbage plan as a major priority. However, even if the SWMP were approved, there will still be opportunities to oppose specific incinerator proposals as they are brought forward. To review the history of Zero Waste B.C’s and Zero Waste Vancouver’s battle against Metro Vancouver’s incineration plans, visit the Zero Waste Vancouver Blog. Meanwhile, in Durham Region, citizens continue to review the Certificates of Approval (C of A) applications which Durham and York Regions hope would result in operating permits for their incinerator proposed for Clarington, on the shore of Lake Ontario. Durham residents are alarmed to learn that in the C of A applications, emissions for key pollutants such as PM 2.5 (a respiratory irritant and a non-threshold pollutant for which there is no safe level of exposure and where health risks rise with increased exposures) have more than doubled from the estimated emissions provided in the Environmental Assessment (EA) application, which Ontario Minister of the Environment Wilkinson approved in November 2010. 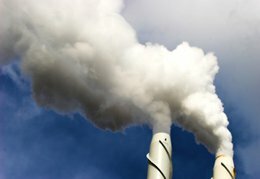 Some citizens are questioning why this information was not provided during the EA and whether what has unfolded is a “bait and switch ” tactic designed to gain EA approval using more favourable emissions data estimates, making data based on reference facilities available only after EA approval. The C of A will require only Ministry staff approval. To date, Ministry staff has shown little indication that they have thoroughly reviewed and understood citizen concerns during the EA, at which time the community repeatedly raised questions about the quality of data submitted during that process. On March 23rd, three Durham community groups provided a condensed project update targeted at 16 of the 28 Durham councillors new to regional council, to help them learn about community concerns. Two days later, in an all-day session, the Durham-York Project Team, which included an entourage of paid consultants as well as Covanta staff, provided their project update to councillors. On Earth Day, Annie Leonard, of The Story of Stuff fame, had an important message for us.